Witness sharks, rays and turtles at the Maui Ocean Center. The Maui Ocean Center is a three-acre marine park that opened in 1998. It is a fascinating place to visit to see the ocean life native to Hawaii. Unlike other wildlife exhibits where critters are transferred in from halfway around the world, this aquarium focuses on Hawaii-specific creatures. 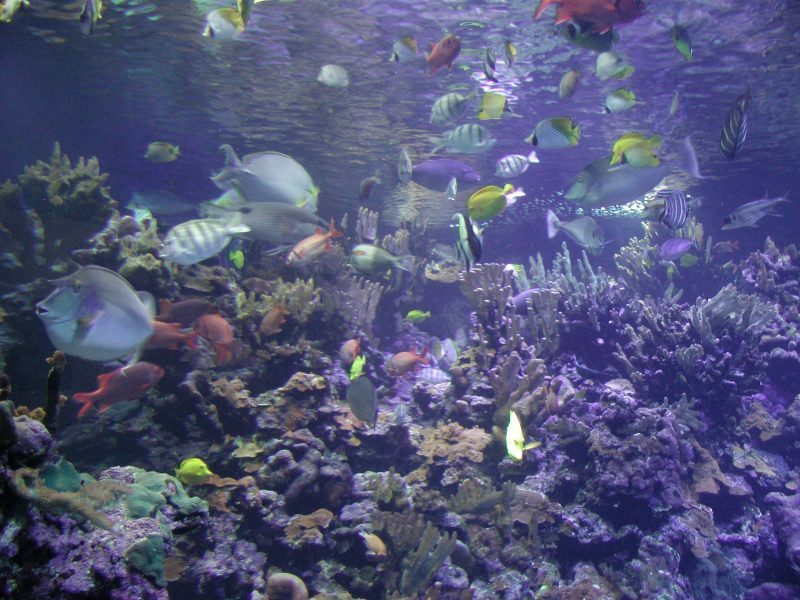 You will see coral and tiny, colorful tropical fish as well as the more massive rays, sharks, and sea turtles. Most of the rays and sharks are rotated into the aquarium and back out to the ocean. It hosts over 2,000 fish that are visited by 400,000 humans annually. A big attraction for kids is the touch tank, which allows them to touch and pick up sea stars and sea urchins and touch skates and rays. The ocean center is a must-visit for those with children and makes for a great respite on the extra hot, extra windy days or during an afternoon shower. There are two dining options as they have a cafe for snacks and drinks and a full-blown restaurant for lunch. 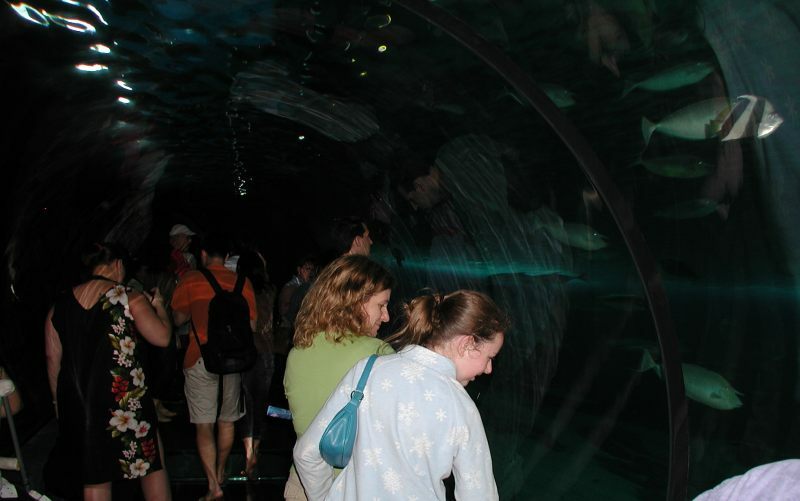 One of the most memorable and recognizable features of the Maui Ocean Center is the acrylic tunnel built through their massive 750,000-gallon aquarium that gives you the perception of walking “through” the aquarium. Many movies shoot scenes at this site. If you plan to get some great pictures of the sharks and rays in the tunnel, be there at the opening time for smaller crowds. This place can get quite busy, especially in the tunnel. The crowds also die down sharply thirty minutes before closing. The Maui Ocean Center is open 365 days per year from 9 a.m. to 5 p.m. (6 p.m. in July and August). 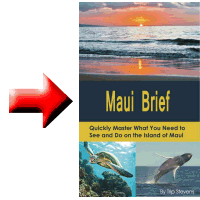 The average stay at the Maui Ocean Center is about two hours. You can get up-to-date pricing information at their website. If this attraction is something that really interests you, you may want to consider a week pass to return through your Maui visit. Expect to learn a lot and maybe even see an octopus or a squid while you are there.